Teen rehab centers offer a safe and secure environment to promote the healing of young people and their families. Individualized treatment plans include support for parents, caregivers and other family members as well as the client. Staffed by medical professionals, these types of facilities provide help with not only addictive behaviors, but with any underlying physical or mental health conditions. Also, programs for teens are geared specifically toward the unique issues of this age group. Young people have always faced the temptation of experimenting with alcohol or drugs. But today, with these substances being more easily available and teen life increasingly more stressful, a higher number of youth are choosing to drink or use either in recreational or habitual ways. The teenage drug abuse statistics revealed that about 30 percent of high school students are using alcohol regularly, according to the National Youth Risk Behavior Survey taken by the U.S. Centers for Disease Control in 2017. Of this group, 20 percent currently use marijuana, and about 5 percent have tried cocaine or hallucinogenic drugs. The National Institute on Drug Abuse has also reported on April 2017 that out of 68,000 U.S. high school students surveyed, about 11 percent reported using non-medical opioid drugs and 1.5 percent reported using heroin. Obviously, a great need for effective intervention and recovery programs exist in this country and beyond. So if a teen you know and love is caught in addiction, know that there is support out there. More rehab centers that cater to teens have sprung up over the last decade, bringing new hope to families. Adolescence is a period of physical and psychological growth. During this transition into adulthood, many teens deal with stressors that may push them to cope through drug or alcohol use. Here are some of the unique issues someone may face during these formative years. Between the ages of 12 and 18, boys and girls experience puberty and all the changes that brings. Growth in height or weight as well as an increase in endurance and strength can give teens a sense of invincibility. They also begin to think more analytically, and question the world around them. This can lead to experimentation in all sorts of areas of life. Disciplines such as willpower, however, are not yet fully developed, making them vulnerable for developing destructive behaviors. This is a time when young people seek to be more independent. They often want to make their own decisions without the advice of parents or caregivers. Standing on their own two feet is natural part of personal development. However, the need for social acceptance is still quite strong. If they are inexperienced at making healthy decisions for themselves, they may end up giving into peer pressure. Many young people who have an addiction problem won't admit it. Some don't believe they have an issue, even when faced with compelling evidence. This denial may be based on pride, shame or a strong desire to fit in with the crowd. Whatever the reason, a strong form of intervention is needed to break through and start the recovery process. Learn more about how to approach your teen about getting into treatment. Alcoholism can have, at least in part, a genetic cause. Teen rehab centers will begin the treatment process by spending some time to gather information about a teen’s family background. They may use questionnaires and interviews to learn about the teen's personal history, current living situation, strengths and weaknesses, and more. Teens may also be categorized as “risky” drinkers, alcohol dependent, or abusers. Depending on the level of addiction, will determine whether treatment can be done outpatient or inpatient, short-term or long-term. Regardless of the type of program, rehab for teens place a heavy emphasis on educating young people on addiction recovery. Young people are taught about the dangers of drinking in excess to themselves and those around them. Through therapy, they'll also learn which individual triggers and temptations lead them to drink as well as how to change their patterns to create a brighter future. Substance abuse programs for teenagers usually begins with intervention and supervised withdrawal. 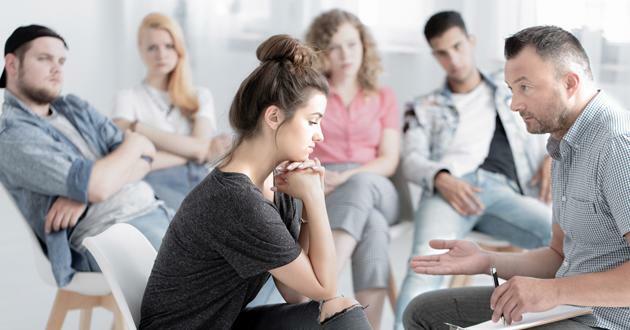 Because detox and early recovery is a painful and intense process, some drug addiction treatment may involve medication assistance depending on the person's drug of choice. Teen rehab for opiate or opioid addiction may involve the supervised use of substances like Methadone to help reduce cravings and increase the chances of sustained recovery. Opiates are medicines prescribed for pain, and include Morphine, Codeine, Oxycontin and Vicodin among others. They bring relief by releasing dopamine, a chemical that when activated sends the signal to the brain that a pleasurable experience is taking place. Heroin, usually injected or inhaled, is an opioid drug that brings effects similar to strong prescription painkillers. When taken over a period of time, both both of these types of drugs actually alter the brain's functioning. They release more dopamine into the body than it naturally needs to feel better. Eventually tolerance builds up, so a bigger amount of drugs is needed to create the pleasurable effects and even to keep the mind working correctly. This is when dependence takes hold, which often leads to addiction. During drug addiction treatment, teens can experience the rehabilitation process at the close watch of medical professionals who can ensure their comfort and safety. After detox, teen drug treatment is typically followed by therapy and counseling aimed at discovering the initial reasons for turning to drugs and finding healthier ways to cope. Teens can feel depression for a variety of reasons. A chemical imbalance in the brain or other physical condition may be the root cause. Other times, outside forces are at work. Adolescents can feel pressure to excel at school and activities. Trying to fit in with their peers, or to please their parents adds an undercurrent of stress to each day. A difficult home life or some kind of limitation can result in a sense of discouragement. Everyone experiences down times, or even the blues once in a while. In those cases, talking things out or finding an activity to focus on is enough to lift the spirits. But certain changes in behavior over a longer period may hint at a bigger concern. Taking early action to find therapy for teenage depression is crucial. If a bout of depression is not treated, it can evolve into something much more serious. Some young people have seen their depression progress into bipolar disorder. Others find themselves contemplating suicide. Teens who reach this point need immediate intervention, perhaps even hospitalization, for their safety. For ongoing treatment, antidepressant medications such as Prozac help break the negative mental cycle. Cognitive behavioral therapy teaches the teen to become aware of thoughts and to be proactive in changing them for the better. Family counseling can begin to build a sense of community around each young person. For teens who struggle with a co-occurring depression and substance use disorder, the highest quality of treatment may involve tackling both issues in a specialized rehab for depression. Finding the right teen rehab center is a big decision. But there are some things to keep in mind while looking. First, a good center will provide opportunities for teens to grow. It’s been shown that teens who have confidence in themselves experience more long-term success in recovery. Some centers have responded to this by offering classes and clubs, even outdoor adventure-type programs. Making new friends while learning new skills builds self-esteem, and a healthy curiosity. A quality center will seek to actively include family members in the treatment process. A teen’s addiction affects everyone around them, and it's important for parents, caregivers and siblings to have a chance to heal. Meeting together for counseling lays the groundwork for a more healthy home environment where the teen will feel more supported as time goes on. Also, the best centers have clear boundaries and rules. Teens who are struggling with addiction have gotten used to self indulgence and chaos. A responsible facility provides guidelines and routines about everything from bedtime to visitations. These bring order to a young person's daily life, and make them accountable for their decisions. Sometimes incentives or rewards are given as a teen starts to make better choices. Another major consideration is finances. Rehab, though the best start for recovery, is expensive. If a family does not have the funds available to cover the costs, several options exist for them. Parents and caregivers can apply for center-specific scholarships and grants. Medicaid may be available for some. Many states offer free hospitalization for detox, followed by access to 12 step programs. Taking out a bank loan or asking for extended financing from a center may be a possibility as well. Facing the problem of addiction is a hard, and brave, thing for a teen to do. Fortunately, they and their families don’t ever have to go it alone.